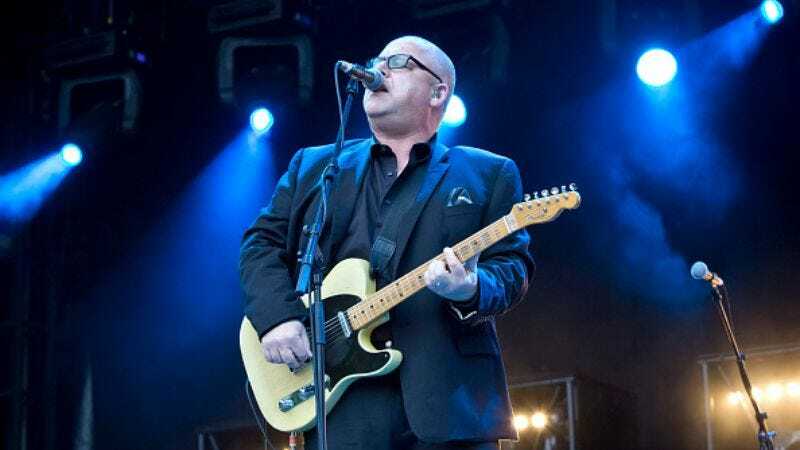 While the Pixies were down ol’ South America way in Portugal earlier this month performing at the NOS Alive festival, they rolled out a number of brand new songs from their upcoming sixth album Head Carrier. And they sounds pretty good—not just the band, but the new songs. We already had some reason to be hopeful about the 30-year-old band’s newest effort after they dropped the album’s introductory single “Um Chagga Lagga,” but seeing/hearing them perform “Baal’s Back,” “Classic Masher,” and the titular “Head Carrier” makes it official: It’s safe to be excited. It’s also pretty cool to see them perform live with Paz Lenchantin, the band’s newest female bassist that countless music dorks will be crushing on. (To be fair, Black Francis almost certainly has his share of admirers as well.) The multi-instrumentalist has been touring with the Pixies since 2014, but this is our first time seeing her play the bass patterns that she originated. Like everything else here, it sounds good. Head Carrier is scheduled to be released September 30.